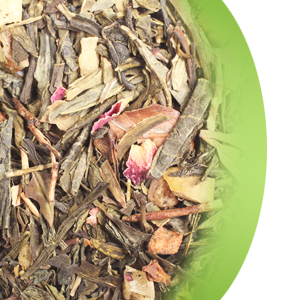 Popular, well recognized green tea blend. Sweet, fruity notes make it very easy to enjoy any time of a day or year. Great hot or iced, this heavenly balanced tea connects fruity soul of strawberries, passion fruit and pineapple.